Had some oatmeal for breakfast and a great veggie wrap for lunch. But dinner is the real kicker!! Spaghetti made with sauce, broccoli, cauliflower, zucchini, mushrooms, yellow squash, green peppers, garlic and a special blend purchased in Lexington from Herb ‘N Renewal called Herbs de Provence, which includes a hint of lavender. 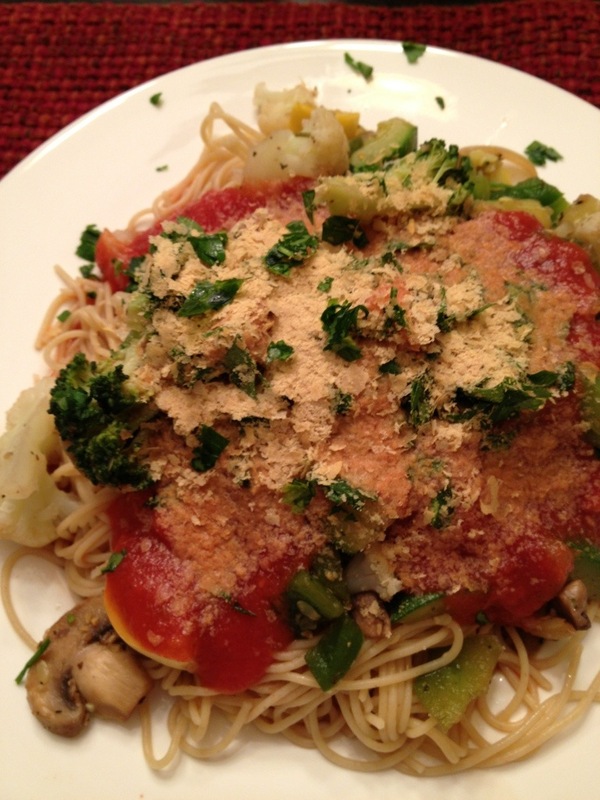 We topped it off with nutritional yeast as a Parmesan substitute. I then added a goodly portion of Louisiana hot sauce for some zing!! Yummiferous!! We are planning to have a vegan apple crisp for dessert.